The Nicholl School of Irish Dance promotes Irish music and culture for dancers of all ages. 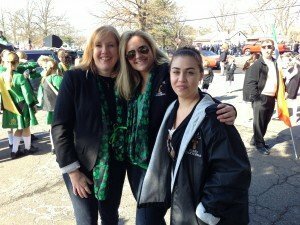 Under the direction Samantha Nicholl Fleming since 1993, the school has participated in many annual parades including the Bucks County St. Patrick’s Day parade in Levittown, the Philadelphia St. Patrick’s Day parade, and the Memorial Day parade in Yardley. Other performances include local community events and venues including Sesame Place, Welcome Day in Newtown, Shady Brook Farm’s PumpkinFest, and many weddings and party events in addition to an annual recital. Along with community events, the Nicholl School has traveled to dance at Busch Gardens in Williamsburg, Epcot in Walt Disney World, Universal Studios in Orlando, and Ireland. All of our trips have given us stories and memories for a lifetime. Although our focus is mainly around local shows and performances, we also participate in competitive dancing through the Rince Tuatha Nua organization. Check back soon for feis announcements & schedules! Nicholl School of Irish Dance is with Samantha Nicholl Fleming.